Looking for dog names that mean loyal? You must be looking for dog names that mean loyal because you are about to get a dog! That is so exciting, congratulations! Now of course your new puppy deserves a lovely name and you have come to the right address! Finding that one perfect name can be really hard so that is why we have created tools to help you. The first tool you definitely want to take a look at is our dog name generator, maybe you have found it already! Since Tinki has a big dog name database of over 38.000 dog names it is definitely handy to use a tool that can give you some clarity. The dog name database can show you anything you need. From dog names that mean blue to movie inspired dog names to dog names starting with C. Anything you need, you can find it on 123Tinki.com! It is a lovely idea to give your dog a name that really means something. Especially because it then means a lot to yourself. You will have something to talk about in the dog park and it will always sound lovely in your ears. Here are a few examples of lovely dog names with a beautiful meaning: loyalty. Since the Tinki dog name database is so big, a bit of clarity would be incredibly helpful. Our dog name generator can help you sort the names that apply to your personal preferences. You can tell the generator what you prefer in a dog name by selecting different filters. For example select ‘male’ and ‘Spanish’ and the generator will give you a list of all the Spanish male puppy names! To help you find that one perfect name we also have some tips for you! These tips can help you to figure out which aspects are most important to keep in mind. We will discuss the length of the name, the complexity of the name, the sound of it and of course what actually makes the name perfect. 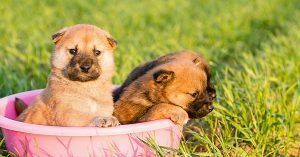 Dog names that mean loyal often sound lovely but you have to make sure you can actually pronounce them, that is why we will discuss these aspects. Through the years many dog names have come and gone, following trends and creating them. Some dog names became a trend because of movies, television characters or commercials. For example Lassie! The Collie from the movie, she was a very popular inspiration for dog names. Especially Border Collie dog names. This is something you can let yourself get inspired by as well. Check out Disney dog names or movie inspired dog names, there will definitely be a lovely name in there for your new puppy. Besides television, special dog name can also be found in heroic stories and myths. Many dogs have enlightened or even saved the lives of people through the years and left us with an amazing memory. The stories truly show the exceptional loyalty dogs can have for their owners. A few of those stories will be discussed, let them inspire you! Smoky was a small Yorkshire Terrier, found by an American soldier in the New Guinea jungle. She was hiding in an abandoned foxhole, the soldier picked her up and later sold her to a different soldier named Wynne. Wynne and Smoky actually became very good friends and survived the war together! A few times, Smoky even saved Wynne from incoming missiles and she even survived a typhoon. Even though Smoky was never considered an actual war dog during the war, she did receive battle stars for her brave behavior afterwards. Wynne and Smoky became quite famous! Since we are discussing loyalty and dog names that mean loyalty, this name cannot be left out. Hachiko might have been the most loyal dog you ever heard about. Hachiko lived with his owner in Tokyo between 1923 and 1935. The Japanese Akita and his owner walked to the train station in Tokyo every day, his owner got on the train to go to work and Hachiko kept waiting for him at the station. When his owner returned from a long day’s work, Hachiko was there waiting for him. Sadly, Hachiko’s owner passed away before him. The dog was confused and did the only thing he could do, wait. He sat in his spot at the station until he died himself. Hachiko touched so many people around him that a statue was put in his place at Shibuya train station after his death. You can still find the statue there in Tokyo to this day. Another war dog that showed incredible loyalty was the German Shepherd Nemo. Nemo served in the Vietnam war with his handler Robert Throneburg. One night, Nemo and Throneburg were patrolling near a graveyard on Tan Son Nhut Air base. Nemo sensed there were hidden enemies and tensed his muscles. Throneburg shouted for him to get them and together they were able to rule out two enemies already. Sadly, Throneburg did get taken down by shots in the shoulder and Nemo got shot in the muzzle. Nemo stayed with his handler and protected him until help arrived. After this, Nemo was send back to the US to retire and he lived out his life on Lackland Air Force Base. One last very loyal dog is from a Greek myth! You might not believe this actually happened but the story is quite inspiring! Besides that, Argos does make quite a good dog name! Argos was the dog of Odysseus, from when he was a young puppy. While Argos was still a puppy, Odysseus left to go to Troy. 20 years later Odysseus returned, disguised as a burglar to check on his family. No one from his family recognized him, except Argos. The dog stood in front of him, wagging his tail and whimpering. With one last howl, the dog died on the spot. Content with finally seeing Odysseus again. As we mentioned above, we have some tips for you to help you find the right dog name. We will now elaborate on the different aspects and are hopefully able to inform you well and help you choose that perfect name! The most important aspect of your dog’s name is the length. It might not seem like a thing at first but it does make a very big difference. The longer a dog’s name is, the harder it will be for him but also for his owner. You have to be able to pronounce the name correctly in every situation and your dog has to be able to understand you. When you are in a hurry or you find yourself shouting the name alarmed, a long name will easily be shortened. If you do this, your dog will get really confused. Calling your dog Alexander one day and Alex the next will not be very clear. Dogs do need clarity so make sure you stick to something short. Preferably one or two syllables long. Something that can help you realize what the name sounds like can also help you to think about the length and complexity. It is important that you practice the name out loud! It may seem a bit odd at first but it really helps! By practicing your possible names out loud you can listen to their sound and can figure out if you are actually able to pronounce them clearly. The sound of a dog’s name is really important as well, certain letters are very well perceived by dogs which is why they are used often. For example the letters ‘s’ and ‘t’. After the two tips above, the next one should be quite logical. Keep the name simple. Of course names from different languages are fun and can be really meaningful but if you are not able to pronounce it, it might not be such a good idea. Keep this in mind and stick to a simple name. After all, to dogs their name is simply a command. They do not understand that their name has a beautiful meaning, they know what they have to do when hearing it. When dogs hear their name, they pay attention to the one calling it. 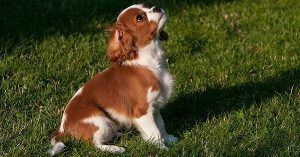 Dogs are smart enough to realize that a new command will soon follow after hearing their name. The question you might have been waiting for, what makes a dog name perfect? The secret to that is that eventually, it is all up to you. If you follow the tips we gave you, you will be left with a few names that are good. Then it is up to you to pick that one that you love most. You are the owner so you decide when a name is perfect! Remember that, do not let anyone tell you to hurry up or what is perfect or not. When you believe it is perfect, it is! Because we know you probably cannot get enough of them, here are a few more examples of dog names that mean loyal. You could also type in loyal into Google Translate and try different languages. Maybe you are able to find another name that is meaningful and works well!